Youth Councils of Note – UNITY, Inc.
Not just one, but two UNITY 25 Under 25 awardees and former National UNITY Executive Committee members were crowned as Mr. and Miss Indian Arizona State University at the recent scholarship pageant. Congratulations to Tashoni Morales, of the Tachi-Yokut/Te-Moak W. Shoshone tribes, and Lance Sanchez, of the Tohono O’odham Nation, as they continue to inspire the Native youth across Arizona. We recently caught up to UNITY alumna Amira Madison. Below she share’s details about her life journey thus far and how UNITY impacted her life. Native American youth representing tribes in Nevada and around the country shared their ideas about equity in education and how UNITY impacted their lives as part of a youth panel at the 12th Annual American Indian Alaska Native Education Summit Health recently in Reno, Nevada. 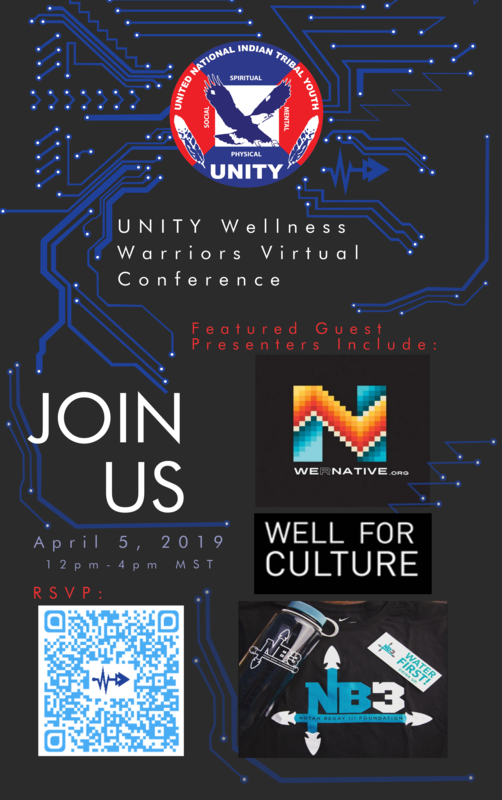 About nine students, mostly representing the Reno Sparks Indian Colony, Fort Mc Dermitt Paiute Shoshone Tribe and Yerington Paiute Tribes, spoke to the theme “Equity, A voice for all students.” The student panelists were also challenged to speak about the importance of a UNITY youth council and how UNITY impacted their lives. Native youth from south and eastern tribes represented their communities with pride while developing community action plans as part of a youth track at the USET Impact Week events in Washington, DC. USET stands for United South and Eastern Tribes inc. USET and the Close Up Foundation have partnered for the past 20 years to work with youth from USET tribal nations where students are involved in the democratic process through current issue debates, collaborative learning, and the development of citizenship skills while also engaging with the USET Board of Directors. TULALIP, WASHINGTON – The beauty of the pacific northwest serves as a reflection of those who inhabit the land, especially it’s people and youth. The Tulalip Youth Services along with Tulalip Tribal Youth Council held a training with UNITY trainer Juanita C. Toledo (Jemez Pueblo) and UNITY staff Jared Ivins-Massey (White Mountain Apache/Navajo), engaging with more than 25 youth service employees and youth. UNITY Pendleton Blankets were given by the Tohono O’odham Nation youth program to the outgoing Youth Council 2016-2018, Saturday, January 12, 2012, at the Inauguration Ceremony for the newly elected Youth Council members in Sell, Arizona at the Legislative Chambers. UNITY values the long-standing support of the Tohono O’odham Nation youth program. As a result of that relationship, over 190 Tohono O’odham members attended the 2018 National UNITY Conference in San Diego, California. Contact our event registration company, American Trade Show. Receive this special gift for your donation to UNITY! Find out how! There is a NEW way to give to UNITY! Shop at Amazon through UNITY’s AmazonSmile site, and Amazon will donate 0.5% of the price of your eligible AmazonSmile purchases! Start your shopping by CLICKING HERE! And tell a friend! 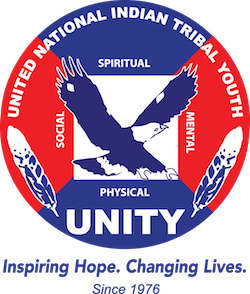 United National Indian Tribal Youth, Inc. Copyright © 2019 · All Rights Reserved · UNITY, Inc.